Nicola and Stefano De Val were born on 24 May 1989 in Sacile (PN) with a 15 minutes gap between them: they are Twins. Grown up in a small town under the Alps and above Venice, unlike many other young drivers they did not make a lot of karting experience, as in fact they have none. Their interest in motorsport began as a scientific approach related to their university studies. They both got a Master of Science degree in Mechanical Engineering at Politecnico di Milano and, few years ago, they got interested in Formula Junior as a way of understanding this strange world. 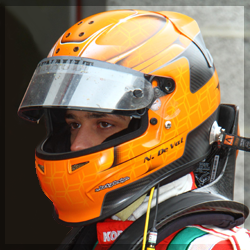 In 2011, they managed to take part in the Italian Formula Renault 2.0 Challenge with great and unexpected results since their almost non-existing experience. Those result convinced them to join an even more competitive formula championship: the Formula Renault Alps, looking for faster competitors and, as the two engineers would say, for more “data”. Since 2013, they changed drastically both the type of races and the type of car. This year in fact they are again racing for Wolf Racing Cars in a Wolf GB08, to compete in the Portuguese prototype championship, after a year racing endurance all across Benelux. ‘After only four years we find ourself here and I find this to be astonishing. I could not believe that I am racing at this level, with this car. 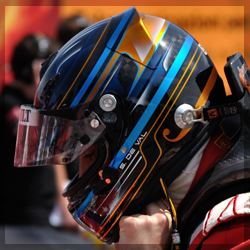 For us – certainly for me – it is very difficult to combine the racing life with the university one. Studying Mechanical Engineering at Politecnico di Milano is hard work. I am more happy as the days go by, but it is often complicated just to organize the racing weekend and then on Monday I have to stay up at night to catch up.